In the past when we talk about the times involved around 80’s and 90’s children were involved in seeking, gaining knowledge and sharpening their skills through different mediums such as books, schooling, attending different seminars, debates, giving presentations, reading and watching television programs. Now in this innate technological era, where there is more advancement considering everything people have become more modernized and one can find everything in digital form. Each day you are faced with new innovative, technical products. These highly advanced discoveries also demand a highly qualified experienced person to manage these new innovative tools which have not only changed how things are managed but this also means that we will need a future generation who is more efficient, techno-friendly and is highly competent to compete in life. In today’s world, children are so much involved and updated with the new technology, not only are they curious to learn and experience these new gadgets but are very much influenced by this new development that takes place in this world. With growing technology, globalization and competition throughout the globe, Google Play and App store have created different apps so that teaching kids is not just limited to reading and writing using books and pencils but allows kids to use the smartphone, tablets to increase their learning, knowledge and helps them polish their logical skills. This is an effective, customizable app (3years to 5 years child) designed to grow with young pre-readers that enable them to be entertained through reading games which allow a child to comprehend a letter, sound easy. It helps a child to record his voice and then decode it. Beside this, it also helps in letter matching, letter and word tracing, rhyming exercises. It's a fascinating game designed for children that help to improve and sharpen the kid's learning skills. The main benefit of this app is that it will help your child solve problems enhancing his analytical abilities. A few characters of these games are the goblin, battling monsters and slaying dragons etc. According to experts for them, the best feature of this app is that will help your child to understand mathematical concepts in a much better way. The reason for this is that the app consists of interesting animations which have this quality to keep the kids occupied during play time when using the app, which in itself aims to develop learning skills. Friends trip kids are one the most creative app that has been on the run which enables children to use their mind to create their very own comic strips. When using this app, your child will be able to create and pose images which help him be creative and expressive about himself. Other than that the app will allow him to join various characters which will help him to complete the comic strip in a simple and unique way. This app which has been designed for preschoolers teaches little children about different puzzles, colors, countings and various shapes. The best things about this app are that each time a new lesson is created when a child plays this game. In this the monkeys require help in order to fetch green fruits, to catch eight strawberries or to identify the fruits having the correct letter. Also, if you submit a wrong guess that will not result in loss of your points but that will be a part of your learning. In this android phones, sight words are simply English words which do not consist of one-to-one sounds-written letters correspondence which means kids need to be taught "by sight". Children are well groomed to catch and comprehend different sight words which are an integral component of a child's development plan i.e. learning to read. Therefore, in order to facilitate their reading skills, sight word are essential to be developed within the kids. Montessori Crosswords are a must app to be tried by young ones for it plays a very influential role in helping children recognize letter SOUNDS. This app has a cognitive factor of mini crossword puzzles, including digraphs and consonant blends. The best things about this game are that it enables the user to do customization that helps combine a fragment, particularly for parents. This app can be described as a very easy, simple iPad literacy games which innate and boosts a child phonics skills when he is playing with the marble to complete the game level. This also includes another set of games that are memory game, an onset game etc. Besides this the game also has a feature of "sounds like" in which when a child engages in a sound with a loud volume and the user has to pick a corresponding letter. 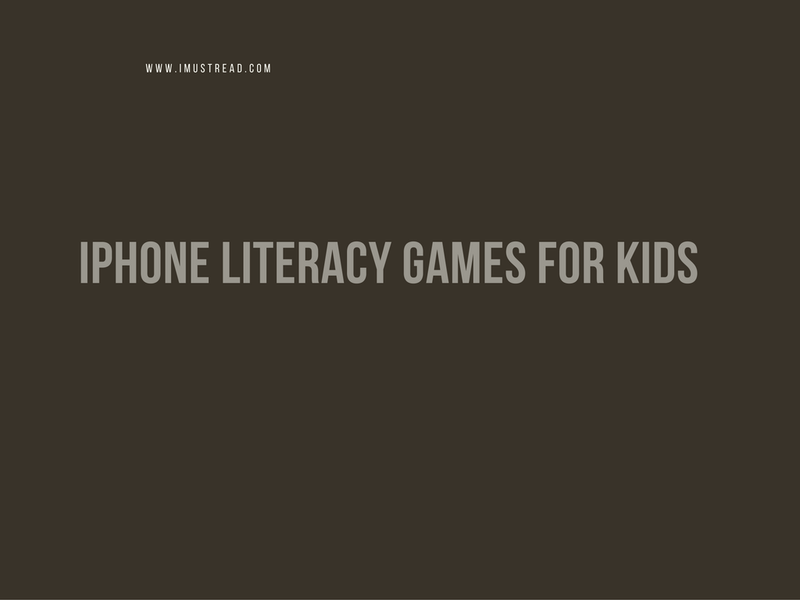 The app is designed to provide children with different forms of reading games. The game also has the capability to endorse a set of thought-provoking features which can be a source of entertainment for children when they are in process of improving their vocabulary and reading skills. This app is a great source for anyone who wants to polish their reading abilities. The game helps children in solving key problems which incur in fostering preschoolers for these young souls are unable to express themselves or communicate with their parents about their missing abilities. It also is beneficial in helping kids in enhancing their math solving (analytical), literacy skills as well as their shapes identifications skills etc. The main role of the app existence is to benefit a child social and emotional development, language, physical development, and cognition and learning abilities. This app has 12 classic music for children through which you can engross your child in learning whether you're at home or while traveling. The app consists of an interactive, colorful interface which helps young one easy to navigate tools. In the end, one can just conclude that these app inventors has very smartly designed these games to help children as well as adults to maximizing one’s learning skills, in the shape of problems solving, self-expressive ways which help in a creation and identifying objects. This can be a very fun engaging experience for anyone to learn in an enjoyable way that not only helps improve their physical, mental and analytical skills but also develops their literacy skills. Ashley Steve works in professional logo design programs and really enjoys being updated about what’s new in the market. She is a writer too.